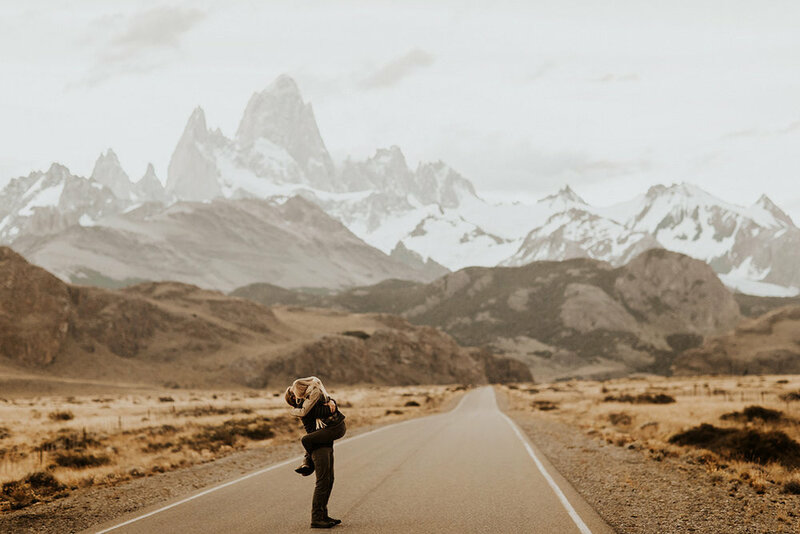 If you’ve been keeping up with our Patagonia blog posts, you might remember the photos we took of our friends Anni + Rich in a field outside of El Chalten with Fitz Roy behind them. These photos were so much fun because it was a super relaxed shoot with good friends, a box of wine, and a stunning field. We actually all traded photo sessions, so I wanted to share some of the photos Anni took of us! It was pretty strange getting in front of the camera, but doing so with good friends made it a really fun experience. Callen and I take a lot of “family” photos with our tripod, and of course a lot of photos of each other, but it’s still so important to me to have professional photos of us. There is nothing like having someone else do all the work while you get to just relax together and be yourselves! We are so beyond thankful for these photos and will definitely cherish them for years to come. 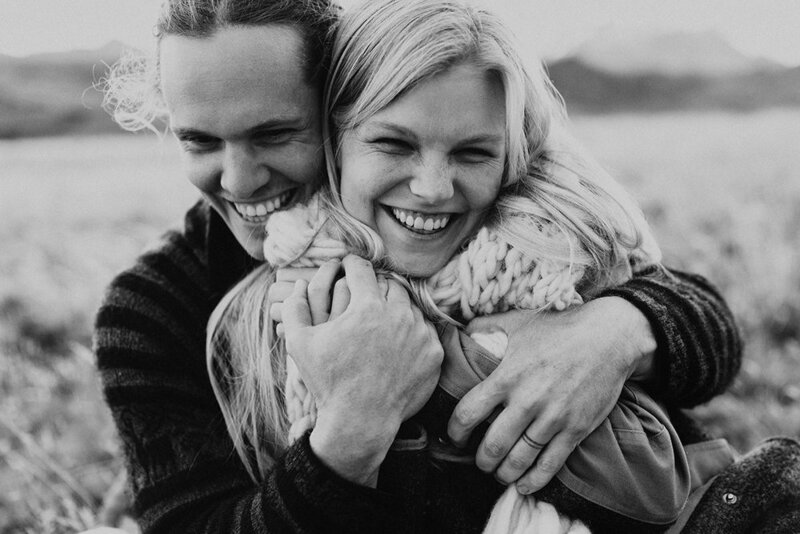 Doing these little photo sessions was such a good reminder why we do what we do in the first place - even after being married for three years, it’s so important to continue documenting our love, especially when we get to do so in places we love. I hope these photos inspire our already-married readers to find a photographer they love and book a session - even if it’s a splurge. You don’t need to be getting married or having a baby to get professional photos taken! You just need to be a human being with feelings that wanted to capture the point in life you’re living right now. That’s what these photos mean for us - our first time in Patagonia. We hope to return to Patagonia many times, and I’ll always love looking back on these photos from our first. Anni is such a talented photographer and it was truly a gift to get in front of her lens and see our relationship from her perspective!